April 25 is ANZAC Day, celebrated in New Zealand and Australia, and it is also Liberation Day, celebrated in Italy. As a self-proclaimed pacifist I commemorate, because even if I don't personally remember war, I feel that it should not be forgotten, especially when is still happening around the globe. 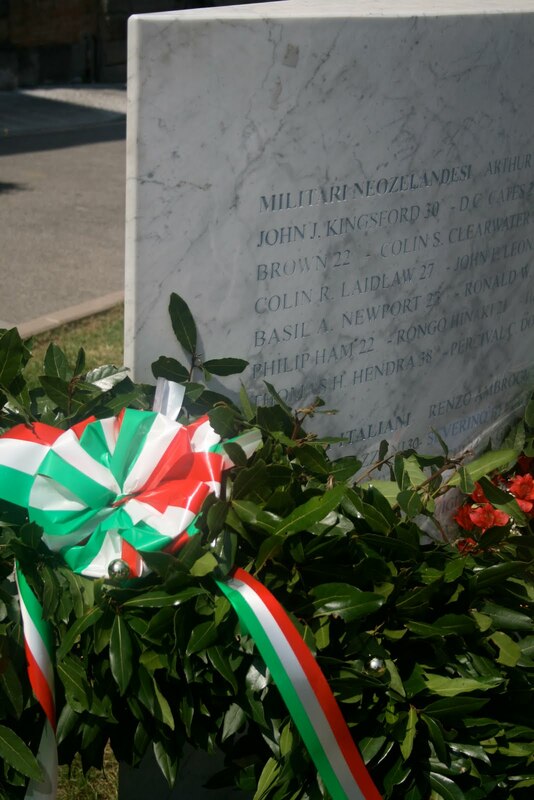 This year we 'celebrated' in Tavarnelle, a small town in Tuscany liberated by New Zealand soldiers. 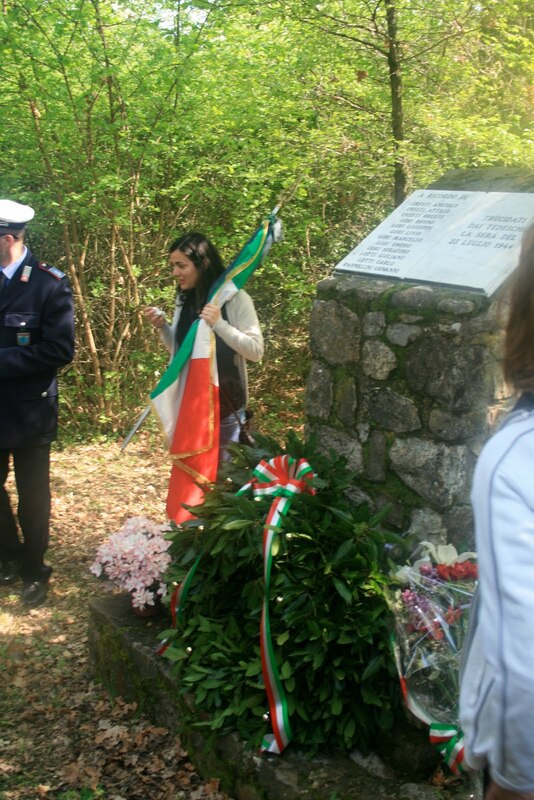 First we went to a small wood in Pratale, near Tavarnelle, to remember the 12 farmers brutally killed there for no reason by the retiring German soldiers. It was very moving, a reminder that war also brings numerous civil casualties, and massacres. 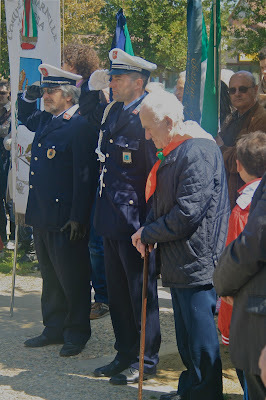 Below: The mayor and the citizens of Tavarnelle in front of the war memorial. Below: the monument with the names of the New Zealand soldiers who died in Tevernelle (click here for the full list). 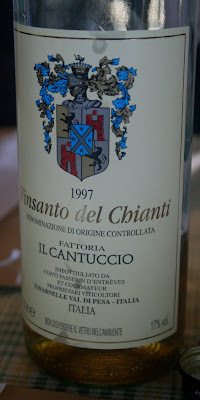 No ANZAC Cookies for us today, but cantucci, or biscotti di Prato, which can be dipped in Vin Santo. 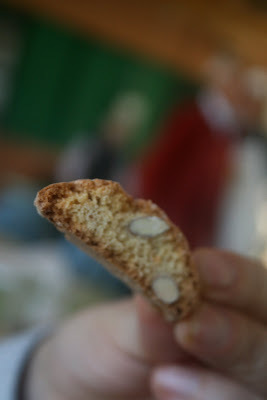 But I will post the recipe for these (the biscuits, not the wine!) next time. That is nice of you to share your photos of this touching memorial, Alessandra. It is interesting to see how other parts of the world remember their war heroes. Very touching, thank you for sharing Alessandra. proprio un bel post alessandra, grazie per avermelo segnalato!